"Completed Job In Time And Left As Tidy As Possible." "Turned Up On Time, Was Polite And Efficient"
"The Engineer Turned Up On Time, Did The Job That Was Expected, And Charged Me A Very Competitive Price"
"Did A Great Job Fitting The Light. 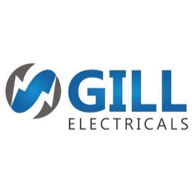 They Were Also Very Friendly And Polite"
Need a Electrician in Rochdale?